The Minister of Niger Delta Affairs, Usani Usani, has emerged as the governorship candidate of the All Progressives Congress (APC) in Cross Rivers State. He declared the winner on Monday at the APC Collation Unit in Calabar by the Chairman, Collation Committee of the party in the state, Emmanuel Anom. Usani got a total of 47,313 votes while his close rival, Senator Owan Enoh got 14, 860 votes. Also, Professor Eyo Etim Nyong got 1,162, John Odey got 1,099 votes while Chief Edem Duke scored 1,322 votes. Usani according to the results declared won in all the 18 Local Government Areas of the state stated. Speaking with the Media shortly after his emergence Usani assured of good governance, if elected governor next year. Meanwhile, another primaries is ongoing by another faction of the party to also elect a flag bearer. 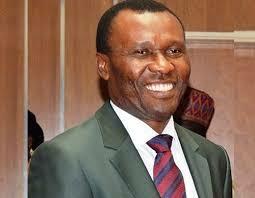 Usani was born on 27 January 1961 in Nko, Yakurr Local Government Area of Cross River State. Usani attended Government Primary School, Nko, St. Brendan’s Secondary School, Iyamoyong, Obubra LGA, University of Jos, Plateau State; University of Calabar, Cross River State; Rivers State University of Science and Technology, Port Harcourt, Rivers State and Queen Mary and Westfield College, University of London. Usani holds a Bachelor of Science Degree in Geography, a Post-Graduate Diploma in Management, a Masters in Business Administration, a Master of Philosophy in Environmental Management, a Masters in Globalization & Development and is currently a PhD student at the Nigerian Defence Academy, Kaduna State. Usani contested the seat of Governorship of Cross River State twice. In the 2003 general elections under the platform of National Democrats, he was defeated by Donald Duke, and in 2012 under the platform of the Action Congress of Nigeria (ACN) he was defeated by Liyel lmoke.